No AFRICAN QUEEN on DVD? Wha-??? This was amazing to me to discover that AFRICAN QUEEN isn't out on DVD yet! What exactly are they doing to the thing to be taking this long? Is it stuck in the reeds? They are no doubt doing a great restoration job. there is very good region 2 dvd availabe. nice transfer and audio commentary from its director of photography Jack Cardiff. great film - does deserve the 2 disc treatment - does warner own this? Paramount's Martin Blythe has said that his studio holds the rights to this perennially requested title. He said in March that the film was a candidate for a "full-blown restoration," so I would guess we might see it sometime in 2004. Re: No AFRICAN QUEEN on DVD? Wha-??? Last edited by Hendrik; 12-08-03 at 04:15 PM. I HATED this movie(well, I was at least majorly dissappointed in it given it's status) but I do hope for those of you that do like or love it that it gets a full and proper restoration. The copy I saw was in terrible shape and is in desaparate need of work. I realize something not being my cup of tea doesn't mean it can't be a great movie, and I don't know what out there is currently deteroirating, but I'd imagine this would be near the top of the list on that front. I agree with you to a point, The Nature Boy. Despite a great pedigree (two legendary stars; a great director; James Agee co-wrote the script), I think this was far from John Huston's best work--it's too sentimental; too predictable and corny and formulaic. An aside: Hollywood has been remaking this picture for the last fifty years: take a man and a woman who are polar opposites and despise each other, place them in a confined space, have them work towards a common goal--and hey, whaddya know! They fall in love! Bogart won his only Oscar for this sentimental role (beating out Marlon Brando in A Streetcar Named Desire--to my mind, one of the greatest performances ever captured on film). I'm sure I've seen The African Queen ten or twelve times over the years, but I doubt I'll buy it on DVD--I don't seem to get the same enjoyment out of it that I once did (unlike, say, Casablanca, which still gives me a lot of pleasure). Yeah, it's fun to see Bogart and Hepburn together on the screen but, overall, I think it's overrated. FFS . 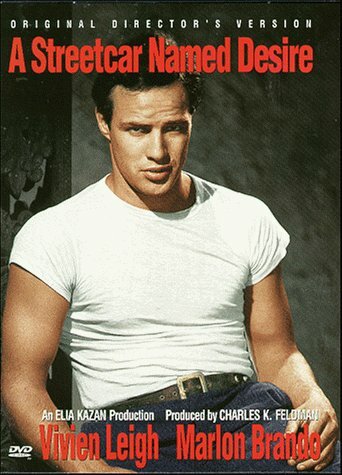 . . A Streetcar Named Desire is one of the Columbia Club selections I just made woo hoo! It shipped out yesterday. It may surprise you to know this but I entirely agree with you: SND is absolutely, incontrovertably vastly superior to AQ — casting, lighting, screenplay, performances, sound. Just a masterpiece, which is why it made the List of Six that I opened my CH club membership with. And I'm sure you'd agree with me, so timeless is that one movie — so durable — that you could watch it dozens of times and discover some nuance you did not see before. 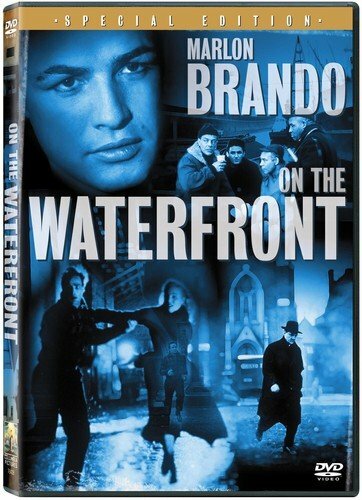 A Classic, and next to On The Waterfront (another classic that made my List of Six and is motoring on its way to me as we speak) the two represent the finest work Brando has ever done, imho. I also love Rod Steiger (and Lee J. Cobb) thus Waterfront makes the cut. The African Queen is sentimental yup yup. Agreed. Corny. But I love it, and it's headed for my (modest) collection of classics for no other reason than I love the chemistry between these two Legends even as the story is one-dimensional. I will get it once it's remastered. Blighty's Carlton Intl. Media is refurbishing its huge library of movie classics, including "The African Queen," to take advantage of the DVD boom and high-definition TV. Restoration funding for the 1951 classic, starring Katharine Hepburn and Humphrey Bogart is coming jointly from Paramount, which holds the U.S. rights.
" 'The African Queen' is getting a very full restoration, right back to the original negatives," says Fiona Maxwell, Carlton Intl. Media's controller of operations. "The work is being done in the U.K. and includes an interview with cinematographer Jack Cardiff ." The joy of 35mm celluloid is that it is HD "ready," provided the print is pristine. And this is where Carlton's restoration team steps in. I picked up the UK version as I saw it available, but since I had recently seen the film in a pristine technicolor print, I neglected to take a look at it. But, just last night, I saw the laserdisc for sale at Amoeba records in LA, and it was the deluxe edition that had the laserdisc, lobby cards, the published script, and the making of book by Katherine Hepburn. Needless to say, I now own The African Queen on laserdisc as well.